The organization of the Western North Carolina Public Health Association (WNCPHA) can be dated to a special committee meeting on February 20, 1947 in Asheville, North Carolina. The committee of ten was comprised of public health personnel and officials bound by a commitment to public and community health. Sections were established for nurses, sanitarians, health educators, health officers, and secretaries. The WNCPHA adopted objectives that included studying public health problems and information; stimulating better public health practices and procedures, and promoting closer working relationships within health departments and allied agencies. 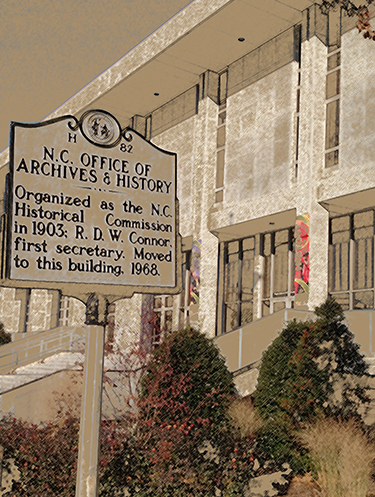 This collection contains annual meeting programs and minutes; bylaws and amendments; lists of officers and department directories; a general history of the WNCPHA and prominent members; newspaper clippings and miscellaneous materials. This collection also includes a video entitled, "As Time Goes By-The First Fifty Years," a history of the WNCPHA; a video concerning the Bill Broadway Award; an audio recording of Gloria Mauney's 1995 interview; an audio cassette recording of a speech by David Stone, president elect and chair for 50th birthday celebration in 1996. Collection is arranged by series then chronologically. Series VI contains confidential information and is restricted. The Western North Carolina Public Health Association (WNCPHA) grew from a special committee meeting of public health officials who convened on February 20, 1947 at the Buncombe County Health Department in Asheville, North Carolina. The group developed tentative plans and recommendations for an organization and then discussed their plans in a joint session with an established group - the Sanitarians' District Meeting - the following day. The name of the new organization was agreed upon and sections were established for additional meetings of nurses, sanitarians, health educators, health officers, and secretaries. The WNCPHA adopted objectives that included studying public health problems and information, stimulating better public health practices and procedures, and promoting closer working relationships within health departments and allied agencies. During the early years the WNCPHA was made up of members from approximately twenty-nine counties in the western part of the state. Most members had been employed in administration, supervision, or working primarily in the county health departments of Western North Carolina. There are also members from regional and other alliances that have group memberships. For example, the Appalachian District Health Department was composed of Watauga, Ashe, and Alleghany counties. By the early years of the twenty first century, other alliances have included the Cabarrus Health Alliance; the Toe River District; and the Asheville, Black Mountain, Fayetteville, Mooresville, Raleigh, Washington, and Winston-Salem Regionals. Traditionally, some individual member have been employees of the North Carolina Department of Environment and Natural Resources (NCDENR), or its predecessor, and the North Carolina Department of Public Health (NCDPH). The folders include a general history of the WNCPHA along with files on prominent public health officials and the awards named for these officials. Contains the organization's founding bylaws and subsequent changes and amendments made of the WNCPHA's 57 year history. Index of Western North Carolina Public Health Departments' executives and officers, along with their contact information. Updated each year department information changed. Contains the annual WNCPHA meeting program along with the meeting's agenda and minutes. Correspondences and finances about these meetings are also included with the program and minutes in order to demonstrate WNCPHA's annual goals and objectives. Box 1 contains years 1947 to 1993. Contains the annual WNCPHA meeting program along with the meeting's agenda and minutes. Correspondences and finances about these meetings are also included with the program and minutes in order to demonstrate WNCPHA's annual goals and objectives. Several folders include the planning and celebration of the WNCPHA's 50th anniversary in 1996. Box 2 contains years 1994 to 1997. Contains the annual WNCPHA meeting program along with the meeting's agenda and minutes. Correspondences and finances about these meetings are also included with the program and minutes in order to demonstrate WNCPHA's annual goals and objectives. Includes years 1998 to 2003, however there are programs for 2005, 2007, and 2008 after the collection's provided date range of 1947-2003. Contains newspaper clippings about the foundation and success of the WNCPHA through the years. The clippings about the WNCPHA contrast with other articles about the outbreak and containment of diseases such as polio and scarlet fever in western North Carolina. The ledger documents confidential patient health information from the years 1955 to 1980. Various audio and visual formats include David Stone's speech at the 50th anniversary celebration and two copies of the VHS recording the 50th anniversary "As Time Goes By" event featuring Governor James B. Hunt. Also included are interviews of Gloria Mauney and Debbie Edwards. Two floppy disks have lists of officers from 1949 to 1991, but a note from 2007 remarks that the disks contain viruses.